I came across this little case in the alley between Parc and Hutchison close to Van Horne. Inside was a little portable typewriter. It’s an old manual Smith Corona “Corsair Deluxe.” Corsair is another word for pirate (especially one by the Barbary Coast) which is another example a continuing theme of product names that doesn’t match the product. It’s in really great condition cosmetically and functionally. I did a bit of typing with it and the letters are a bit smudgy; I expect that it just needs a little cleaning. 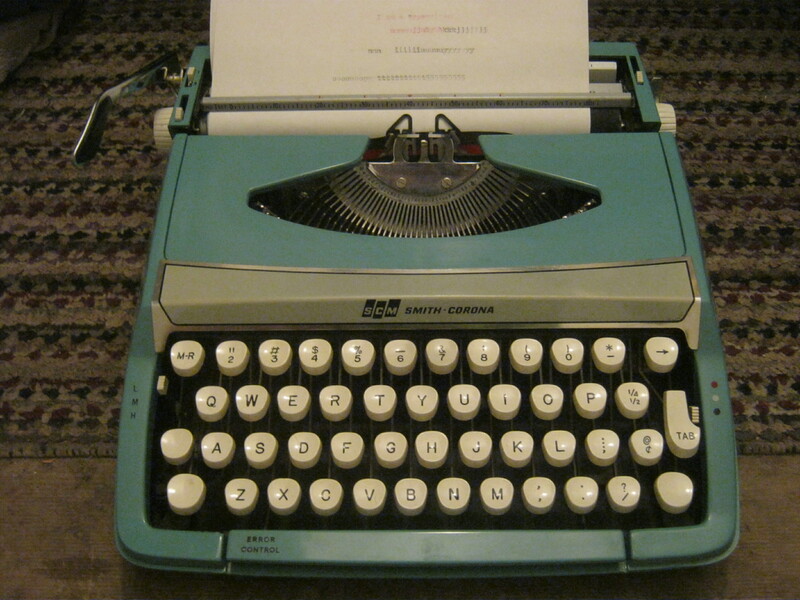 This typewriter is popular on Ebay and has sold for as high as 90$. I didn’t find much else in my evening run but I’m pretty happy with this alone! I’ve got some things to do tomorrow morning in NDG. While I’m out there I’ll check out the garbage day of the west sector of Westmount and the east part of NDG. Hopefully I’ll come across something interesting in these fairly well-to-do areas. Previous Post Bone, tusk, or neither? 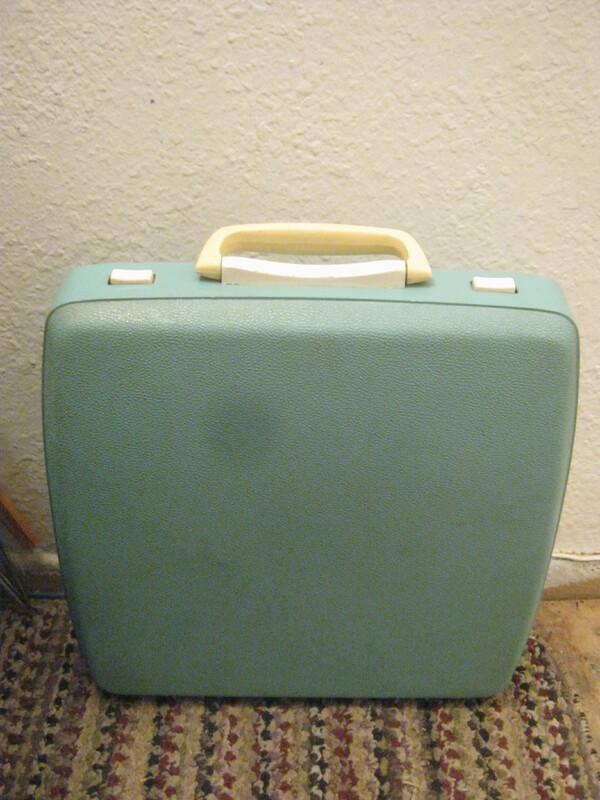 That typewriter looks like my mother’s, same style, same color, but the case is different. Don’t count on much in Westmount. I don’t know what day it’s picked up that way, but Friday seems unlikely. Keep in mind, there’s only one garbage pickup a week in Westmount, door to door compost pickup starting some years back and replacing one of the two garbage pickups per week. Eastern NDG is late Friday pickup (as well as late Tuesday). Though it seems later on Tuesdays than on Fridays. I thought there was a law in Montreal proper that garbage couldn’t be put out too far ahead? If so, it won’t go out till later in the day. You’ve clearly got a fascination for typewriters. I used to own that very very model. Same colour too. Bought it in a junk shop in Glasgow for about $30 and later sold it on eBay for a similar amount. I liked it. Could rattle away on it for hours. The arms would occasionally get crossed, which would be annoying as you’d have to pause and sort out the problem, but it’s a lovely thing. Very portable and looks ace. Mine may have just been badly maintained. HAy 🙂 How funny!! I just found one on my street 2 years ago, at the same period of the year… I don’t know for you, but in my case, when I see an old typewriter…. I cant resist! “Product names that don’t match the product” — yeah, I have a SC “Silent” typewriter, circa ’40s, and let me tell you, it’s not “silent”. 🙂 Great find!